Police in Northumberland are reminding residents to keep their homes secure with the onset of darker nights after reports of a number of burglaries specially in the Corbridge area. Extra officers are on patrol and are being supported by the mounted section as well as motor patrols and the police cadets in order to identify and target those suspected of being involved. Neighbourhood Inspector Kevin Oates said: "We're carrying out operations which include both high profile uniform patrols combined with covert enquiries to trace those believed to be involved in burglaries in our neighbourhoods. "Residents should be assured that our activity to target those suspected of being involved in burglary is relentless, but we need the public to work with us to help us prevent burglaries taking place. "There are steps residents can take to reduce their risk of falling victim to a thief, such as making sure their properties are secure and look occupied. "Take a few moments to think about the security of your home, make sure windows are secure and doors are locked. Leave a light on if you are going out or use a timer light to come on as it gets dusk. "It's also important to make sure blinds and curtains are drawn while you are out and a burglar is not able to look straight through your empty house. "If you follow the same routine such as walking your dog or going shopping at a certain time each day try varying your routine and make sure you leave lights on in different parts of the house each time you are out. "It's also worth setting TV's and radio's on a timer if you are going to be out of the house for long periods. The flashing light of a tv or sound of a radio may fool a burglar to think the house is occupied. "And residents are our eyes and ears, so if you see anything suspicious in your community or have information about those involved in burglaries where you live, let us know straight away so we can investigate." It's also vital residents report anything suspicious to police straight away so they can investigate. Police can be called on 101, or to report a crime in progress dial 999. Most Labour MPs in the Commons see next May as the crucial test for Jeremy Corbyn's new look far left Labour Party. If Labour wins in Scotland with its far left approach then Corbyn buys himself some time, and evidence can be found that this is both what he believes, and what part of the country believes. Put simply, his approach is that we are going to give far left socialism one more big heave. So the Scottish Labour Party conference yesterday in Perth was worth a good look. "Labour are trapped. They cannot Out-Nat the Nats and they cannot Out-Unionist the Tories. So what can they do? Where does Labour find its voice? And if it can find its voice what will it actually say? One thing was made clear in Perth today: Jeremy Corbyn is not the answer. But then you knew that already. His speech was, er, remarkable. It was a speech aimed at – and let’s be generous here – 15 percent of voters. Those voters who think a Spartist shouting “SOCIALISM” is the winning response to a Natjob crying “FREEDOM”. I support the Revitalising Redesdale scheme, which has just been awarded a £115,700 grant from the Heritage Lottery Fund to develop the concept, leading to an future £1.8m bid to the HLF. The scheme covers nearly 1,600 hectares of the valley, with measures such as helping farmers to reduce silt build up, pollution and riverbank erosion in the River Rede and 50 volunteers monitoring and tackling non-native invasive species. Built heritage will also benefit from repairs and management plans for Scheduled Ancient Monuments and listed buildings. Another aim will be to encourage some of the thousands pass through to become visitors with an awareness and engagement programme to tell the valley’s Borders frontier story. Let me be clear; there really is no difference between the political parties on the substance of this issue. Tampons are not a luxury product and should be at zero rate. The 5 per cent VAT rate for sanitary products is however the lowest allowed under EU law, and the Government is committed to raising this with other EU countries to change EU law on this issue. HM Revenue and Customs confirmed the VAT rate charged on the items is the lowest allowed under EU law, which meant Labour's amendment on Monday would have made no difference to the arrangements. When Labour was in Government, Yvette Cooper spoke of amending the VAT on sanitary products, however was unable to do so. Likewise, the French government have attempted to abolish the same tax, but to no avail. The reason for this is because the tax falls under EU, not domestic legislation. It was actually Labour who set the rate at 5% when it was in government as they too were prevented from going any lower because of European rules. Financial Secretary to the Treasury, David Gauke, said during the debate that the government "sympathises with the aim of this clause" but that: "The UK does not have the ability to extend unilaterally zero rating to new products." He said he would raise the issue with the European Commission and other EU member states. Last Monday’s debate was not about whether there should be a tax on sanitary products – no one believes there should be - rather the debate centred on how to get the VAT lifted. The outcome of this was an agreement to include a 0% VAT on sanitary items in the government’s negotiations with the EU. Sir John Chilcot has announced that his two million word report into the Iraq War will be finished in April 2016 and then given national security checks, with a publication in June / July. This is a matter beyond governments control as the inquiry is utterly independent. But the PM Mr Cameron has sent a letter expressing his frustration at the delay. In his letter to Sir John, Mr Cameron welcomed the fact there was "a clear end in sight" but added: "I am disappointed - and I know the families of those who served in Iraq will also be disappointed - that you do not believe it will be possible logistically to publish your report until early summer." has offered resources to speed up the process, while Labour leader Jeremy Corbyn said the time taken was "getting beyond ridiculous". The inquiry is considering how UK forces came to participate in the US-led invasion of Iraq in 2003 and its aftermath. by William Hague setting out why Monday's vote by the House of Lords was profoundly wrong. An elected House, the Commons, must hold sway over the unelected Lords, on tax, spend and all matters finance. Hague singled out the Lid Dems in particular because it seemed to him that on Monday night, when they joined in defeating George Osborne’s tax credit plans and even voted for a “fatal motion” to stop them altogether, "these ghosts forgot a key principle of the liberal civilisation they once led. My old Liberal friends in the last Cabinet were fond the idea that matters of taxation are solely for the elected house of our Parliament to decide is a constitutional principle of the United Kingdom if ever there was one. It was David Lloyd George, one of the greatest of all Liberal leaders, who enunciated this principle with clarity and passion. “The right of the Commons to grant supplies,” he declared in 1909, “is a franchise won through generations of sacrifice and of suffering. The Commons of England stormed the heights after many repulses, many a failure, with heavy losses, but they captured them.” On another occasion he thundered that “measures… put forward by men elected by a majority of the people” should not be “rejected or mutilated by a House with no responsibility to anyone, not elected by anyone”." “Very proud of LibDem Lords,” crowed Tim Farron after Osborne was defeated in the Lords last night, adding: “We have sent a clear signal… Tonight’s vote gives people hope”. Yet what did Farron say about the second chamber just a few months ago? “The North East business community is ready for devolution and raring to play a major part in ensuring it achieves its potential. There is a strong desire for areas such as housing, planning, transport, education and skills, and employment, to benefit from the deal, and our members are also keen to see business taxes reshaped as a result of devolution. 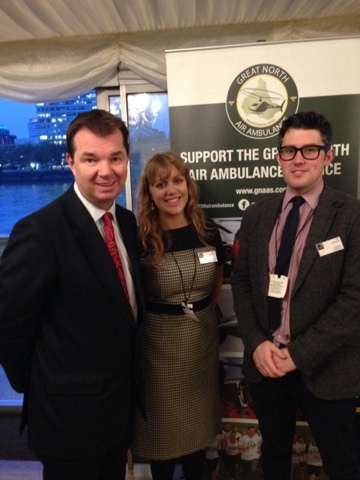 Yesterday was the Association for Air Ambulance reception and I was pleased to welcome the Great North Air Ambulance who do so much great work all across the North but especially rural Northumberland. I am a massive supporter of the GNAA. The Lords does have powers, but in order for any government to keep on functioning the elected Commons must hold the sway over the unelected Lords. Last night that agreed centuries old convention was broken. “Tonight, unelected Labour and Liberal Democrat Lords have defeated a financial matter passed by the elected House of Commons, and David Cameron and I are clear that this raises constitutional issues that need to be dealt with. "However, it has happened; and what we must address are the consequences of that. I said I would listen, and that's precisely what I intend to do. I believe we can achieve the same goal of reforming tax credits, saving the money we need to save to secure our economy, while at the same time helping in the transition. "That's what I intend to do at the Autumn Statement. I am determined to deliver that lower welfare, higher wage economy that we were elected to deliver and the British people want to see." It is a busy week. On Monday I will be helping many old friends and colleagues who are attending Westminster for the annual Air Ambulance reception in the House of Commons when the various organisations reach out and engage with members of the commons and lords. I will be working late until gone ten pm on the finance bill, and then an early start for Tuesday's final day in the commons for the Welfare Reform Bill. Wednesday and Thursday I have a number of meetings with constituents, and key organisations like the team behind Health North, and people who are willing to help make the creation of the Tynedale Bank a reality. Friday is private members bills day in the commons and I will be remaining in London for these. Once again this week we have a work experience pupil from Queen Elizabeth High School. Last week it was Beth Thomas. This week it is Alice Walton. This makes well over 250 work experience placements we have had in the Commons or local offices. In ten days the archbishop of York is coming to Hexham Abbeyto launch the Tynedale Community Bank, an idea whose time has come all agree. It has cross party support as was demonstrated by the evidence session of last weeks Treasury Select Committee. Sunday Politics for the North was recorded live on Friday, with Richard Moss of the BBC, focusing on the historic deal to bring powers to the North east that were previously in London - backed up by cash, a Mayor and so much more. We also discuss in part mobile coverage, the welfare debate, and our efforts locally to create the Tynedale Community Bank. Then this afternoon I am in Wylam for an action day with the Conservative Future team - we will be doing a litter pick and then canvassing. Looking forward to it. Transport, power over taxes, integration of services, and a single strong voice for the North East - that sums up the devolution deal that was signed in the region on Friday. As a region we now have the opportunity to do what has been successfully done in Greater London, and in many of the great cities and areas of the world. I am not afraid to criticise Labour politicians when they get it wrong but let me today put on record that I am very proud that the 7 Labour Council Leaders for our area have put party politics aside to sign this historic deal. Much of the detail of this new deal - giving us greater capacity for jobs, growth and a new vision for the North East comes direct from those Council Leaders. Working constructively with the Chancellor they have shipped these powers directly out of London and to the North East. The leader of Northumberland County Council Grant Davey deserves credit for working with the Chancellor to secure a good deal for our county. The new deal will give the region choice over major projects such as, the future of the A1 and the Tyne Valley Railway line, which will potentially be placed in the hands of the elected mayor. Control over police and fire are also included in the deal, along with transport, education and business rates, which will all fall under the new mayor’s remit who will be elected in 2017. As part of the deal the North East will receive £30m a year for the next 30 years. Labour leader of Durham County Council Cllr Henig said: “This is a major milestone for the North East, it is an important day. “There has been a lot of hard work over the past few weeks and that will continue seeing how the public wants to take this forward - we must take their views into consideration. The west Lothian question has long vexed parliament and politicians post devolution. Why is it that scots MPs can vote on English health policy or other matters when I as an English MP cannot vote or legislate on such devolved matters in Scotland, where health, education and policing for example are all devolved and run by the Scottish government? Today we seek to address this problem and solve it by a procedural change in the House of Commons. Every year in the UK over 50,000 women and around 350 men are diagnosed with breast cancer. Sadly, 12,000 women and 80 men die from this disease each year. This is why we need to support Breast Cancer Campaign’s fundraising efforts to support world-class breast cancer research that saves and improves lives, giving people quicker diagnoses and more effective treatments. 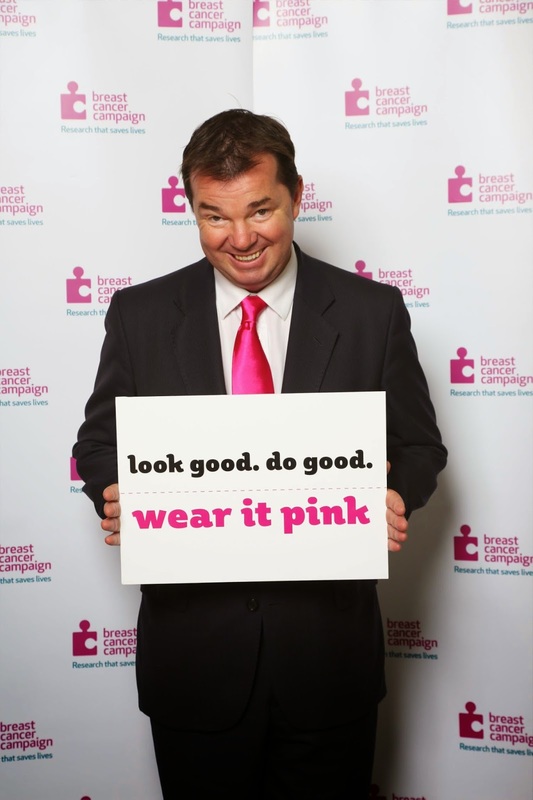 I hope you’ll all join me by wearing it pink on Friday 23 October and showing your support for breast cancer research. For more information or to register for wear it pink and receive your fundraising pack visit www.wearitpink.org. The changes brought about by Women2Win are truly breathtaking. Founded 10 years ago by Theresa May MP and lady Anne Jenkin the support, encouragement, mentoring and advice given to future female MPs, MEPs, councillors and role models has been amazing to watch. Helping to change the Conservative party has been one of the best things I have done in the last parliament. I cannot do quite as much now but I am still very involved, and the 10 year anniversary is going to be in November 19. It will be quite a celebration. Over 200 women were there plus a few men. The picture was taken at the end of the event. 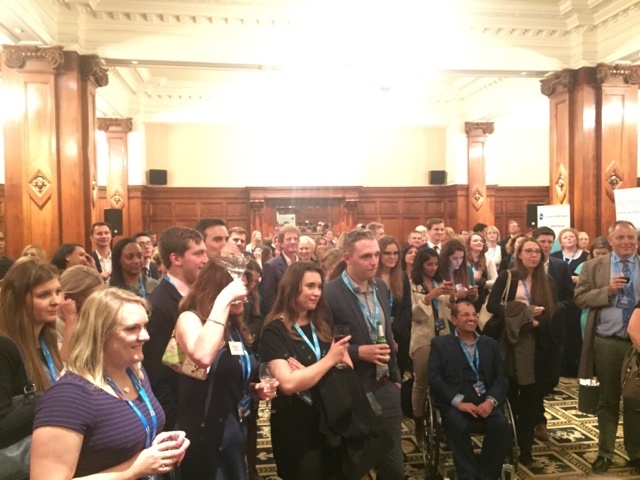 The event in Manchester pictured below was a real celebration, with many of the amazing 2010 intake coming forward and showing it can be done - from Nicky Morgan to Amber Rudd to Penny Mordaunt, plus others like Justine Greening and our co founder Theresa May. Today is v busy with the PM statement to the commons in the European council meeting, the discussion of the Wilson doctrine and the new psychoactive substances bill. Tuesday is packed with for me the final day of the welfare reform bill in Committee, meetings with NEAS and a local constituency employer and a work dinner. Wednesday sees Prime Ministers Questions, a series of meetings and the second day of the local government devolution bill, which is good news for the North East; on Thursday we will be debating English votes for English issues. 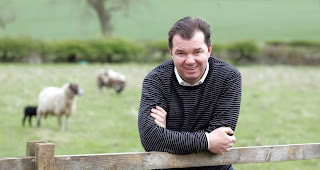 Thursday night I am travelling north late for a busy Friday in the constituency and a dinner where I am speaking at Ponteland golf club. In the fullness of time someone will write a book on the most unlikely leaders of political parties. Till then we can but watch the Labour Party and Jeremy Corbyn engaged in a mutual love / hate relationship .... and the U.S. Republican Party as they embrace Donald Trump. There is no doubt that Trump is Nigel Farage on steroids. His views are abhorrent to many but attractive enough to some to ensure that he is a genuine contender to be the next candidate for the presidency. It will see the Government channel a non-ringfenced £30m-a-year into a newly-established North East Investment Fund, while the mayor, to be elected in 2017, can collect an additional £30m-a-year in business rates specifically for infrastructure. Regional leaders will take control of the adult skills budget while a skills board will oversee a comprehensive review post-16 education, skills and employment support system in the North East. The deal has a strong emphasis on skills, transport and rural growth, but also paves the way for further devolution of police and fire services, health and social care. A package of business support measures includes further enterprise zones/the enlargement of existing zones to offer rates cuts for firms. It ties the Government to reviewing the business case for the reinstatement of passenger services on the Blyth and Ashington rail line and for the reinvigoration of the Tyne and Wear Metro, and asks for the North East Combined Authority to, in future, oversee the Northern Rail franchise. A pan-North East transport strategy would bring rail, local highways, metro, buses and ferries, under one system. A bus regulation scheme that spans beyond Tyne and Wear to County Durham and Northumberland will form part of the deal. A commitment to the North East Rural Growth Network, with the Government likely to offer Northumberland National Park more commercial freedom. The new mayor, who combined authority leaders part of a new cabinet structure can veto, will also bid to tackle the housing crisis, with new planning powers and a North East Land Board that can trigger Compulsory Purchase Orders to free up space for new builds. It also allows regional leaders to pool cash from the sale of public sector assets, such as the County Hall site, in Durham City. "The SNP has governed public services in Scotland since 2007, so it is easy to test its central theory: that “home rule” is better rule. If this were true, we would see Scottish students pulling ahead of English ones; hospital waiting times crashing down and exciting and innovative methods of policing. Instead, a very different picture presents itself for those with an eye to see it. The SNP’s great policing experiment – merging eight constabularies into one nationwide force – has also become a case study in what not to do. The promised cost savings have not materialised, the huge force struggles with basic communication and is under fire for bungled responses to emergencies. In July, a man was found dead inside his car on near Bannockburn three days after the crash was first reported. His girlfriend was found alive, but unconscious next to him. She later died. Sir Stephen House, chief constable of the two-year-old Police Scotland, recently announced his resignation. If Theresa May’s flagship police reform had gone so badly, she would be an ex-Home Secretary. But things are different in Scotland. The SNP is adept at changing the topic of conversation to one it prefers and dodging the scrutiny it deserves. It likes to hold debate over issues where it has no authority. On Tuesday, for example, MSPs discussed the refugee crisis and parliament voted to “recognise the severity” of the situation as if this would do any good. About £1 billion of British money is being spent helping Syrians by the UK overseas aid department, which has hundreds of staff in East Kilbride. If the SNP wants an example of Scots making a difference to those most in need, it need look no further. So there is a scrutiny gap, which Mr Cameron’s government can help fill. As Prime Minister of the United Kingdom, it ought to concern him that educational opportunity is being denied to bright Scottish teenagers simply because they lack the money. But there is good news too. Poverty in Scotland is falling, contrary to the SNP’s predictions. It is also one of the very few countries in Europe to enjoy record employment; who would argue that this is unconnected to its being part of the UK and its jobs miracle? Mr Cameron could trumpet these successes." "We accept we are going to have to live within our means and we always will do - full stop." He continued: "We will support the charter. We will support the charter on the basis we are going to want to balance the book, we do want to live within our means and we will tackle the deficit." Now Corbynomics is against this and some of the labour party voted against their own leadership last night. The Motion was supported by the Commons in a vote won 320-258, with over 20 Labour rebels. 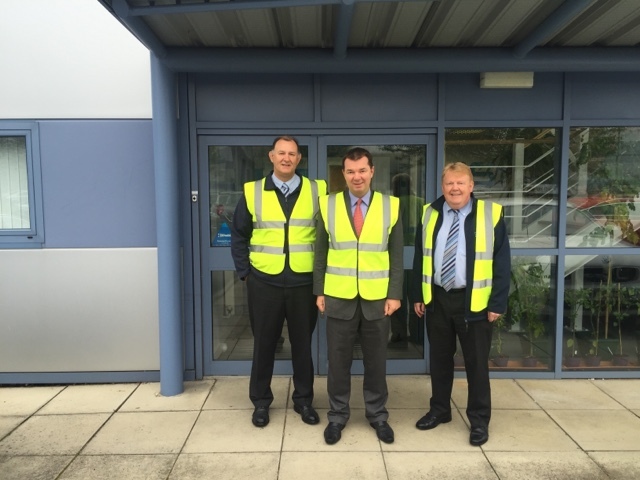 Two weeks I went to Global Manufacturing Supplies, an engineering firm based in Prudhoe. It was a fascinating visit and I learnt a lot. 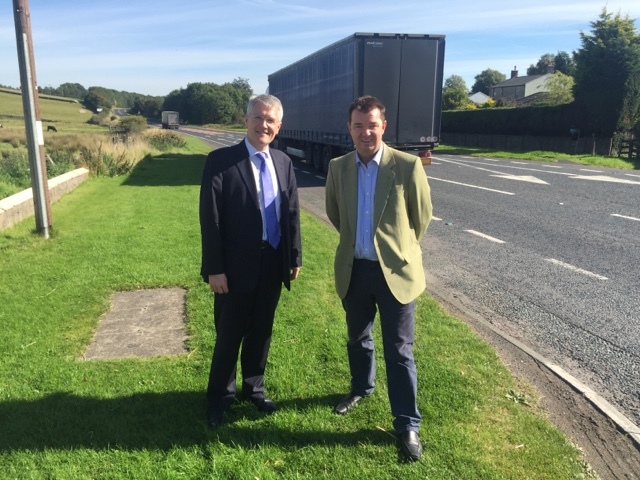 As an MP I visit a lot of businesses, both locally here in Tynedale but also across the wider North East and the country as a whole. I meet everything from one man [or woman] bands to huge employers like Egger, OGN, SCA and Nissan. The really interesting businesses, however, are the ones in the middle: these are the ones that we need to thrive and survive. These are the SMEs that really drive our economy, and none more so than in the North East. Albeit, I accept that I am no engineer, the business of engineering and manufacturing - and the challenges of doing this in the global age - fascinate me. More importantly in the North East these types of businesses create and sustain a key part of our economy. But to misquote Jane Austen it is a truth universally acknowledged by some manufacturers that cheap imports are making it tough to compete in the global market. So how can we survive in a global world? To an extent this is right - if a core commodity is cheaper to produce elsewhere the customer tends to buy from the cheaper producer. Twas ever thus. But where we in the UK, and in Tynedale, are getting clever is our approach to competitiveness, and innovation. The defining characteristic of GMS is their ability to provide competitive solutions to established manufacturing companies. This is a classic example of British innovation tackling a traditional industry and producing a company that is innovative and radical. It also employs over 25people in Prudhoe, supports a lot of good local causes as part of its commitment to the local area, and makes a profit. I am pictured with Owen and Andrew outside the premises. An interesting morning. Last night at 6pm in the House of Commons the Parliamanetary Labour Party met. Amongst many issues they were told by John McDonnell, their new shadow chancellor, that the labour leadership had now changed their mind and we're going to oppose the charter for budget responsibility. This caused uproar. The shouting and the row genuinely could be heard a long way away in the corridors of Parliament. By all accounts, from Labour MP friends of mine, the meeting was the most chaotic and aggressive they had ever been to. What does this mean? The issue is whether labour accept the country's deficit, and are resolved to sort it out... Or they are not. Put simply, are they a serious party willing to make the tough decisions required to sort out the fact that we spend more than we earn as a country? This is not about the causes of the deficit - or how we sort it out. The British people decided their verdict on that at the last election. It is about whether you sign up to a balanced budget. The proposal commits the government to keep the debt falling as a share of gdp each year and then run a surplus by 2019-2020, and then continue to budget to run a small surplus in future times. This is an approach no different to a family's or a business. Two weeks ago labour agreed this was sensible policy. Now they have changed their mind and will oppose it when the Parliamanet votes on it on Wednesday. 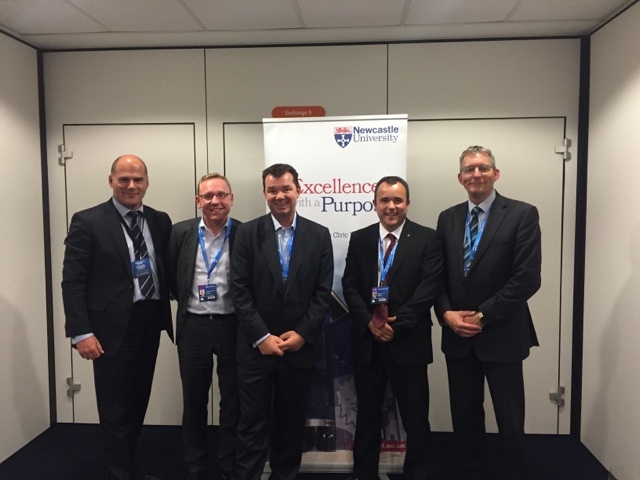 It was a pleasure to help Newcastle University as they organised their discussion forum at the Conservative Party Conference last Sunday. I was asked to act as ringmaster and chair on an all star panel of experts in the world of energy, energy security and climate change. The really impressive thing is that Newcastle Uni is reaching out as they do. For over an hour the experts took questions from the audience and discussed everything from energy security to nuclear power, from shale gas extraction, renewables and coal to the balance of energy provision amongst these competing capacities; the extent of subsidy, regulation and government interference was also discussed. Seen either side of me in the picture are Professor Richard Davies, and Professor Phil Taylor both of the university, whilst Siemens and the WWF were also represented. It was a pleasure to see the North East leading the way in the manner in which it is reaching out to the various party conferences and trying to create and then have meaningful debate on serious issues. The 2 professors are clearly gluttons for punishment as they had been representing the University the previous weeks at the Brighton labour conference and the Bournemouth liberal conference. It is not for me to say how they found the Manchester Conservative experience as compared to others, but there is no doubt that in a very broad debate they answered over 15 questions on a multitude of topics and all the panel are genuinely to be credited for engaging in this way. Parliament this week sees debates on everything from Northern Ireland to the Armed Forces, from the new Immigration Bill to the continuation of the Welfare Reform Bill in committee. I have a number of meetings with constituents and visiting organisations, but I will be most interested in the first debate on Wednesday on the Cities and Local Government Devolution Bill. On this issue the North East has a big interest as part of the Northern Powerhouse, the desire for greater devolution and the difference mayors can bring. We need to like modern Britain more and be more like modern Britain. "The party of working people, the party for working people – today, tomorrow, always. …everyone in this hall can be incredibly proud of our journey – the journey of the modern, compassionate, One Nation Conservative Party." All of us know a family member who suffers from this terrible disease: as I discussed with my Haltwhistle constituents, at the Haltwhistle Dementia Support group last week, I am acutely aware of its impact, the loss of dignity, and the difficulties faced by the carers. But there is beginning to develop a number of ways in which I see a difference being made across the Tyne valley: examples are as follows. - I have been involved with the Corbridge communities efforts to become completely dementia friendly and to provide assisted walks and activities for some time. Led by councillor Melvyn Stone I trained to become a dementia friend last year. - last week I was lucky enough to spend time with the Haltwhistle Dementia support group and provide answers to their questions on how we provide ongoing support, medical services, and Howe tackle respite care whilst being at the very far end of Northumberland. The integration of Northumbria NHS with North Cumbria will clearly make a massive difference so that we are no longer at the end of the line but much more at the heart of the medical provision that exists in the true north. - and I was lucky enough to join the team from Chrysalis in Hexham who do a fantastic job fundraising and supporting the local community at the Torch Centre. I helped open their new garden and got my hands dirty picking potatoes in a good cause. Going forward there is no doubt that we need to learn best practice from each other, get local councils and communities on board, and engage with the local GPs and clinical commissioning groups to ensure that these services are genuinely recognised and supported. There is, as we discussed as well in Haltwhistle, a lot more to do to provide respite care. Use them or lose them! All of us want the quirky, individual, different shops on our high streets but every consumer is responsible for what they buy. If you choose to order all your books and purchases online via Amazon and co then a local retailer is losing out - so life is more convenient for you. And, although we are getting these companies to pay more tax that's previously, the reality is that big companies are crowding out the small supplies. What to do? - you can buy your meat from a local butcher or in the farmers market this Saturday, where you will get a better product from a local farmer, with meat utterly traceable and handled in an exemplary way. And it tastes better. While you are at it stop buying cheap foreign imports in supermarkets. - make sure you support our local shops in Hexham, Corbridge, Haltwhistle, and across the county. Every time you choose to ignore them and shop at a supermarket their trade suffers. Trust me you will be the first to complain when you see our high street solely the preserve of the high street chain. - get involved with great promotions like the one run by my favourite bookseller Cogito in Hexham (although Forum in Corbridge are also v good). Calling fellow book lovers, whatever you’re doing this Saturday, make sure it includes popping into Cogito Books for our bookshop party – celebrating real books in real bookshops! Throughout the day we’ll have ‘Books’ Fizz’ and a Tasting Saturday Extravaganza not to mention cake, quizzes, face painting and live music … and lots and lots of conversations about books. Come join the party and celebrate what makes Cogito Books so special! Last week I saw a star 37 light years away. The light from Arcturus left that star at some time 37 years ago. It took that long to get to wark last week. The concept is mind boggling, but thanks to the team at the Battlesteads this experience is available to everyone. The hotel has always been cutting edge but it has invested in an architect designed, beautiful and warm observatory, from which they use a state of the art special telescope to see the planets and the stars, in comfort and style. 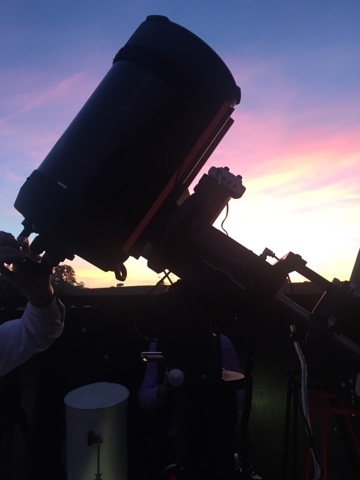 Aided by Roy Alexander, originally a physics teacher but now with a serious sideline in astronomy, they are providing Astro Ventures - a bespoke experience for up to 30 people in their observatory. All this with a delicious dinner, pint, bed and breakfast on your doorstep. It is a great way to spend a winters evening and I warmly recommend it. The important bit for the local MP is that this enterprise also provides further vitality to a beautiful village, sustainability to a crucial gastropub and employer, and more jobs in a rural economy. And it does this by providing what is fundamentally a winter attraction, when pubs traditionally struggle and some shed summer workers. Our dark skies in the Upper North Tyne of Northumberland are truly special and there is no doubt you can see a very long way. Mind you it does help to have a telescope capable of seeing many millions of miles! A great experience. Check it out soon! Mr Osborne made the case for the need to increase investment in the North of England. The Conservatives needed to understand the "reservations" of people who did not back them at the election, he said. "So to these working people who have been completely abandoned by a party heading off to the fringes of the left, let us all here today extend our hand. "Do you know what the supporters of the new Labour leadership now call anyone who believes in strong national defence, a market economy, and the country living within its means? "A few days in China doesn't half help put the relevance of the northern powerhouse concept into perspective. The North of England has around 15million residents, it's major cities, Leeds, Liverpool, Manchester, Newcastle and Sheffield ( including their whole city region areas ) 10million. If you draw a triangle with Newcastle, Sheffield, and Liverpool as its corners, the land area covered is less than that by the cities of Beijing or Shanghai on their own. Chongqing's 30million people live in a city the size of Austria. On the other hand, if you look at the economy of the North of England, at £290b per annum GVA, it is larger than that of Denmark or Sweden. Premier League football is a great door opener here, but though everybody seems to know about Manchester City and Manchester United, they don't in general know much more about our city, and we are pretty tiny compared to even medium size Chinese cities. If we succeed in getting the transport investment we want over the next ten to fifteen years to get the sort of connectivity that we want between the northern cities - connectivity that will help us create the virtual super city of the North, then as a virtual city of 10million people, a city bigger than London, we begin to register. All five city Leaders have been here this week and we are finding that working together to promote economic opportunity across the North is getting a real return. So far we have presented to a number of high-level business audiences in Beijing and Shanghai, and this afternoon we will do so in Chengdu, a city of 12million plus in China's south west, and a part of China that continues to have double digit growth. I have regularly argued that Manchester's future, like its past, is as an international city, and to be that we have to promote ourselves internationally, both for trade and investment. Being here is already having an impact with major companies we have met here already seeking appointments to meet us in Manchester before I've even left. We've had a number of recent examples of Chinese investment in the city, the most recent relating to Middlewood Locks in Salford. There is plenty of room for a few more." “The harsh reality is that whilst the North East squabbles the Labour-led local authorities of Greater Manchester, Yorkshire, Liverpool and elsewhere are pressing ahead and embracing the government’s offer of devolution. Let us be clear: all the North East businesses, the North East Local Enterprise Partnership, North East Chamber of Commerce, and a multitude of other organisations see the force in uniting transport, health, and a large number of regional services, in an integrated manner, under the ultimate control of a directly-elected mayor. The mayor-led model has worked for London. The only objectors are some or all of the 7 Local Authority county council leaders. Why? There are only two possible explanations: either they wish to preserve their own fiefdoms and fear that someone from Gateshead, Sunderland or Newcastle might be in charge with the result that the mayor will not favour them / feather their nest as only they can; or they do not have aspirations for the wider North East? I cannot believe that this is the case, because surely they accept that we are better together as a larger unit, competing as we are on the global scale and other larger regions. Is this is a power struggle amongst the seven local authority leaders? I do not know. - I am also chairing a Newcastle University discussion event between 5.45-6.45, when I will be listening to a number of academics, think tanks and specialists from Newcastle University and beyond debate energy security, climate change and more. It promises to be an entertaining hour, although as the chair I am impartial, and simply keen to get our experts being grilled by the public so come along. Later that evening I will be at the northern conservatives reception. - Monday I will be up early for the Women2Win morning event at 8 in the Conservative Home Marquee. I then have 7 meetings that day with organisations as diverse as Newcastle Airport, Shelter, and Northumbrian Water. I will be at the Destination Full Employment debate at the Jurys Inn in the evening at 6, which promises to be a fascinating debate. I will then be going to the Membership of a political party in the 21st Century discussion hosted by Policy Exchange with Rob Halfon MP, who is both a mate and an able deputy party leader. I am then going to a Forestry lunch, before a series of meetings and events about the Northern Powerhouse, and dinner with local members who are attending conference. On security + Trident Labour party policy / shadow cabinet support Trident / Army but Corbyn against: who wins? Jeremy Corbyn has made it very clear he would not use our nuclear deterrent. He also has made some pretty clear comments concerning the use of our armed forces, and even their continued existence. The Labour Party previously believed security, as provided by Trident, was an important issue. It has a previously settled policy on this. At the start of the labour conference, we were told by Jeremy Corbyn that Labour Party members, via their annual conference, would now be taking control of Labour Party policy. In particular, he said he would welcome a vote on the issue of Labour’s support for the principle of nuclear deterrence. But then he suddenly realised that if there was a specific vote on the issue, he’d lose it. So that particular exercise in internal democracy was hastily shelved. In other words it is "I agree with the party ruling until it decides something I disagree with?" His views on the army, defending our country and security and trident are well known and were made very clear this week. The problem is that the leader is at opposition with his own cabinet. For me the reaction of his shadow cabinet was actually by far the most interesting point on this issue. - Andy Burnham, who is Jeremy Corbyn’s shadow home secretary. His leader had been wrong to rule out the use of the deterrent, he said. - Next was a clip of Maria Eagle. She is Jeremy Corbyn’s shadow defence secretary. Her leader had been wrong to rule out the use of the deterrent, she said. - Next was a clip of Hilary Benn. He is Jeremy Corbyn’s shadow foreign secretary. His leader had been wrong to rule out the use of the deterrent, he said. - Next was a clip of Angela Eagle. She is Jeremy Corbyn’s shadow first secretary of state. Her leader had been wrong to rule out the use of the deterrent, she said. - Next was a clip of Lord Falconer. He is Jeremy Corbyn’s shadow Lord Chancellor. His leader had been wrong to rule out the use of the deterrent, he said. - Next was a clip of Heidi Alexander. She is Jeremy Corbyn’s shadow health secretary. Her leader had been wrong to rule out the use of the deterrent, she said. I also met with representatives of the Henshaw Community and we are seeing what we can do on a local level to improve the road. There is much that can be done through the local Highways Agency, and the Northumberland County Council. The Chancellor today signed a deal with civic leaders from South Yorkshire that will see it vote for a new, directly-elected Mayor, in what is the most fundamental shake-up of local government for a generation. 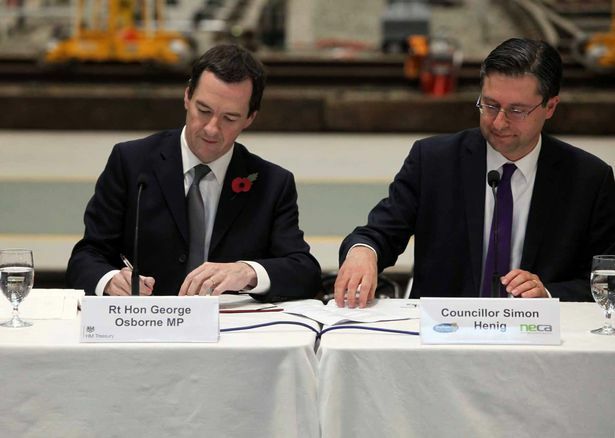 Sheffield is forging ahead in the Northern Powerhouse, which this historic deal proves is taking shape. This deal has the power to change the shape of local government in the region in a way that would have been unthinkable even just a few years ago. For local people, it will mean the decisions that affect them being taken locally. Manchester is not a one-off – far from it. 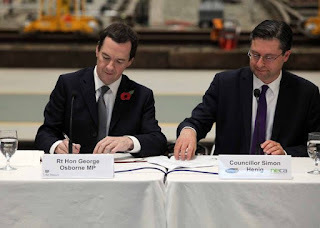 In becoming the second great northern city to sign up to managing its own affairs with this ambitious agreement, Sheffield City Region is playing a vital part in helping to build the Northern Powerhouse. This development on the green belt between Newcastle and Northumberland was a titanic struggle of the people v a very large and powerful corporation. It was a struggle involving many years of campaigning, and became a test case battle between commnity versus inappropriate development. It is only now, for sure, that we can say that our long fight to stop Lugano building 280 houses at Birney Hill, on the greenbelt around Ponteland and Darras Hall, is finally over. Now, Lugano has just confirmed to the Pont News and Views that it is not pursuing a judicial review - the only remaining avenue for them after the Conservative Local Government Secretary Greg Clark MP rejected the appeal against the refusal of planning permission. The Local Government Minister backed the conclusions of the Planning Inspector to reject Lugano's plans to build on the greenbelt. The Minister agreed with local people that the proposed development would be “seriously harmful to the Green Belt”. The decision by Lugano to decide not to pursue a judicial review brings our two-and-a-half year battle on this particular site to a very welcome close. I could not have done this without the help of the local councillors, the local community and everyone involved in the campaign. He also told the newspaper Labour’s mayoral candidate Sadiq Khan could exacerbate the threat of Mr Corbyn. “If you want the market to stop then you’ve got Batman and Robin in those two,” he added. The businessman also appeared on ITV’s This Morning, where he accused Mr Corbyn of wanting to “go back 40 years”. Britain’s unemployment is down to 5.5%. In the eurozone it is double this, with some areas youth and other unemployment rising, notably France. Countries that are trying to cut their deficits, and live within their means are seeing growth and jobs; the recovery from the Great Recession was faster than previously thought, according to official data recently released that showed the UK grew more rapidly than any other G7 economy over the past two years. The Office for National Statistics (ONS) confirmed UK growth at 0.7pc in the second quarter of the year compared with the previous three months. Compare this with France, run by a socialist leader, who favours high taxes, and attacks business as the enemy not the creator of jobs. In France unemployment tops 10% and is rising. It is a country going backwards not forwards.